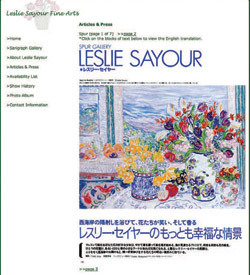 Leslie Sayour’s paintings and serigraphs can be found on her Website at lesliesayourfinearts.com. Sayour’s paintings have found admirers in the US, where collectors include politicians and Hollywood personalities, and in Europe, where Sayour absorbs the inspiration of the French and Italian countryside. Perhaps her greatest following, however, is in Japan. 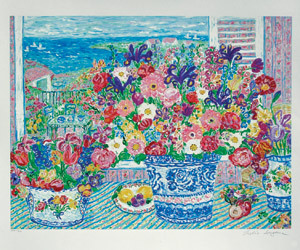 It is no great surprise that her floral-centered oils and pastels have attracted attention in Japan, a culture where flowers and design carry deep cultural significance. For the past two decades, Sayour has traveled there twice each year to present her work. 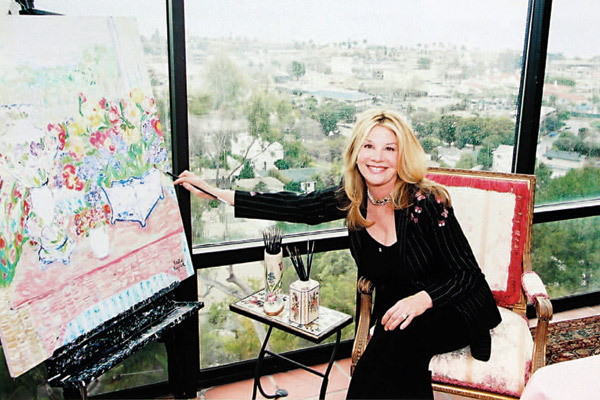 She is currently planning a trip to Tokyo to display some of her paintings in several shows there. Among her many admirers are the Japanese royal family, who are also collectors of her work. 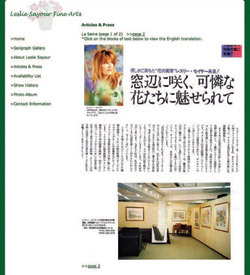 Sayour has been featured in Japanese publications such as Seven Seas, Modern Living, Spur and La Seine, reflecting her popularity in that country. Sayour’s biography recounts her deep American roots. Her family tree includes such icons as President Andrew Jackson, as well as perhaps the original all- American boy, Daniel Boone. Her grandmother’s traditional American quiltmaking skills sparked her interest in the arts, but that was only the beginning. 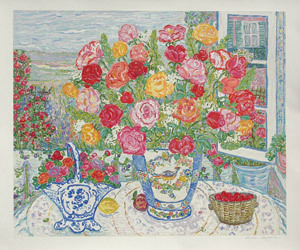 By the time she was eight years old, Sayour had discovered a joy in bringing bright, primary colors to life through gardening. 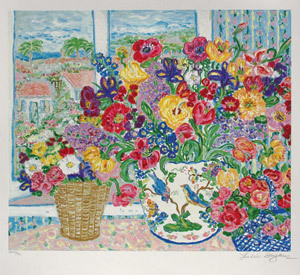 This led to committing her flowers to canvas through oil, pastel and watercolor, and her paintings began to reflect her interest in Matisse and Van Gogh. These influences are clear. 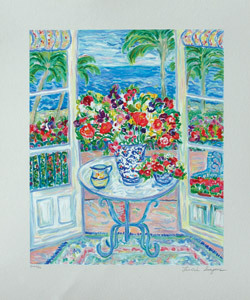 Sayour’s misty primary colors evoke images of dreamy summer mornings by the sea. 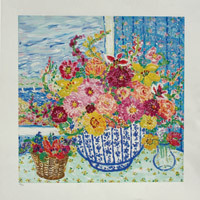 Bright window scenes are complemented by lush bouquets against cooler blue-green sea tones. There’s a hint of Monet here as well. Sayour recalls a recent comment from a Japanese lady, who dubbed her “the woman Van Gogh,” which she counts as one of the highest compliments she has ever received.